Family Affair at Cretingham Country Lodges. Sun, sea, cocktails and not lifting a finger is our idea of a holiday, but what was the one thing that was missing… my little pug. Don’t be so ridiculous I hear you cry but believe me its true, only pet owners will truly understand that you get separation anxiety from your pooch; so this year we decided to do something different and have a last minute holiday the whole family could enjoy. The criteria – cabin/lodge, pet friendly and hot tub. 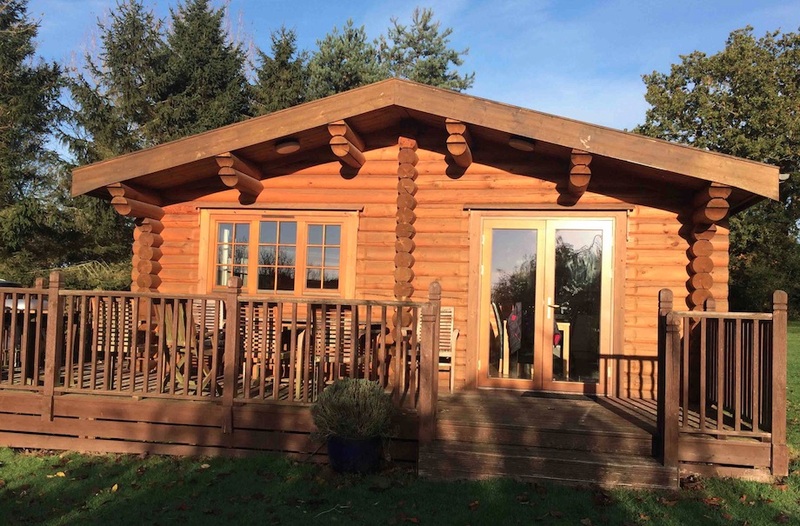 After searching high and low, looking at more websites than I care to remember, we booked a last minute long weekend deal at Cretingham Country Lodges in Suffolk. The cabin, The Carnouiste, sleeps up to 6, has a double bedroom with en-suite shower room, a twin room and separate bathroom with linen and towels provided. An equipped kitchen, open plan living and dining room with TV, free view, radio and sofa bed. There was also a box of local leaflets such as places to visit and local amenities which was useful. If you are a golf and tennis enthusiast you can enjoy unlimited use of these facilities along with the Clubhouse and Restaurant. 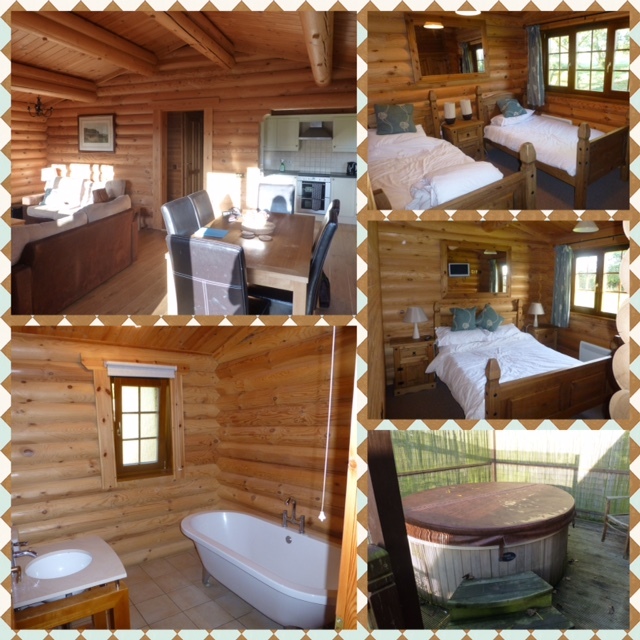 All the premium lodges also include a private hot tub on the veranda, along with outside dining and bbq facilities. The hot tub was definitely a winner with us, what can possibly beat sitting in there warm and toasty, bubbling away with the stars above? The cabin itself, lovely, we all agreed we could happily live in one, but there were a few little things that did let it down. The lounge furnishings were tired looking, table sticky and stained and the oven was pretty thick with grease and grime, which we weren’t happy in using. The free wifi was slow and nonexistent really, and be prepared for the bare minimum mobile signal if you are lucky, for us it was a welcome break from the world of communication. The cabin is spacious with enough room not to feel like you are on top of one another. The only downside however was there being only room on the 2 sofas to fit 4 people, quite tricky when it sleeps 6. There were a few things missing, the extra duvet for the sofa bed, the remote control for the TV and by the end we were doing rock paper scissors on who would be getting up to change the channel. It was certainly obvious that we are not experienced self-caterers and weren’t wholly sure what to bring with us, thankfully there was a generous sized Co-op 15 minutes drive away in Framlingham. What would have been beneficial is a small welcome pack with some essentials – tea, coffee, sugar, oil, salt, pepper, pint of milk. Yes it would cost a few more pounds for them, but would have made a world of difference. The surroundings and countryside are beautiful and picturesque, you will definitely need good map skills or a sat nav to get around. There are some lovely quaint villages to explore, pubs and tea shops to indulge in and beaches and countryside walks to enjoy. One particular pub that is out of this world is The Queen Victoria and is 100% worth a visit, you won’t regret it! Yes there were some drawbacks but overall it met what we were after. We left feeling relaxed and rested (and wanting a hot tub at home), it was a fantastic family experience and it was thoroughly enjoyed by us all, especially Mr Pug.